In January, Facebook announced that they’re changing the ranking algorithms that determine which posts show up in users’ news feeds “so people have more opportunities to interact with the people they care about.” In other words: “We’re going to make it harder than ever to have your business posts seen by anyone unless you pay to promote them.” Facebook was already showing organic (non-paid) posts to only a small percent of your page followers, and now it’s even fewer. If you’re not willing to pony up the money to promote each and every post, you’re just shouting into the void. But you don’t have to pay to play. User-generated content has always been king on Facebook, and now it’s even more relevant. Testimonial Builder lets your customer’s tell your story for you. With how fast the app sends your happy customer their new testimonial, they’ll be sharing and posting it in no time for their entire online network to see. Now that glowing review can be found easily on Facebook because the consumer, not the business, shared it. 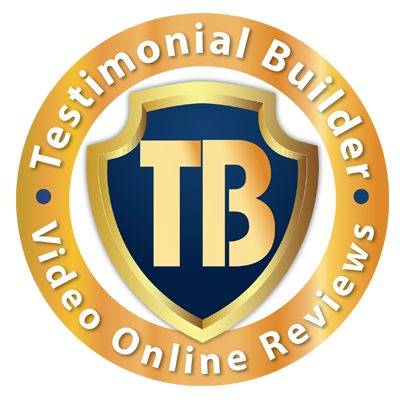 Don’t let Facebook silence you, take advantage of user generated content with Testimonial Builder. Google is Listening, Are You Speaking Up? Search Engine Optimization (SEO) is one of the most fluid topics in digital marketing. You need to do everything you can to make sure your content online is appearing in search results, but with Google switching up their algorithms every other day this is no easy task. Yet, one aspect of SEO has been growing steadily over the past few years: Voice Recognition Software. Chances are, you or someone you know uses voice recognition to search the web with a Google Home device or Amazon’s Alexa – but Google isn’t just listening to your questions. Google also uses voice recognition software on uploaded content like videos and podcasts. By listening to the content of videos online, Google can more accurately place them in search results. This is why Testimonial Builder’s teleprompter feature is so valuable. The title and tags on your testimonial videos are important, but the SEO keywords spoken in the video are invaluable for improved search results.